Dennis Curran for The New York TimesAfter years of finding illegal levels of antibiotics in dairy cows, the Food and Drug Administration (FDA) believe the drugs could be tainting the milk consumers drink. According to the New York Times, current tests found that hundreds of older dairy cows have these illegal amounts of antibiotics in their system year after year. In response to their findings, the FDA initially wanted to conduct new tests on the milk from farms that had repeatedly sold cows contaminated by drug residue to help ensure safety for the dairy drinkers. But the dairy industry has concerns of its own. 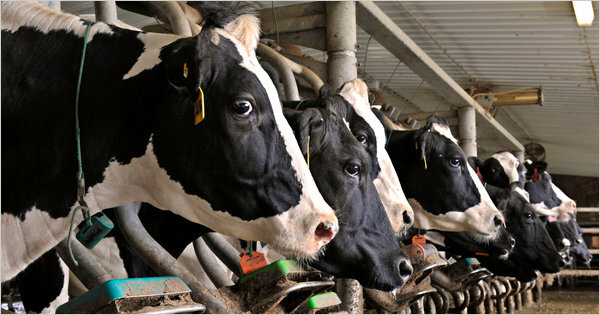 In response to the intended testing, the dairy industry, along with state officials that regulate the dairy industry, argue that because the tests could take weeks to come to a conclusion, as opposed to the minutes it takes for the current testing, it would cause the farmers to waste millions of gallons of milk because shelf life for milk is not that long. While the industry did not reject testing altogether, it prefers a more effective plan for testing the milk. In turn, the F.D.A postponed the planned testing and is considering the industry’s argument as it prepares to revise its plan.